Chemistry and its influence are everywhere from the materials in the car you drive, to the vitamins you take in the morning, to the laboratories where chemists are developing life-enhancing and disease controlling products. A solid preparation in chemistry is essential for professionals in most scientific areas. 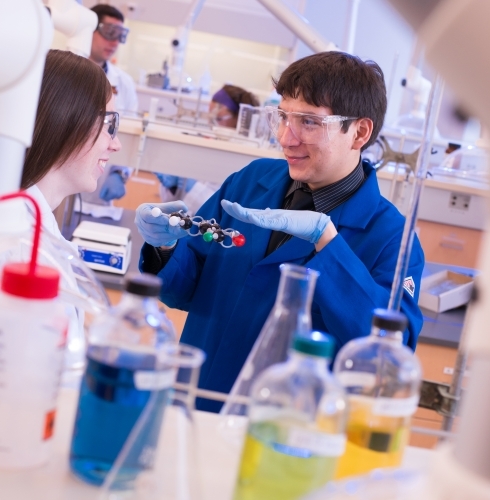 In Niagara University's department of biochemistry, chemistry and physics, we offer courses and programs that provide pre-professional training that prepare students for careers in medicine, dentistry, pharmacy, pharmacology and other health sciences. This strong chemistry background also prepares students for graduate school, or positions in business, industry, pollution control, and ecology. Personalized, individualize attention in small classes from a supportive community. Access to state-of-the-art equipment in the brand new B. Thomas Golisano Center for Integrated Sciences. Guaranteed hands-on research training with faculty who are experts in their fields. Technical education balanced with Niagara University's liberal arts training. A program focused on career-relevant technical and communication skills. Apply for our Research Fellowship! The NUSURF (NU Science Undergraduate Research Fellowship) program offers generous financial support to outstanding students to engage more deeply in research during all four years at NU. This is an incredible way to enhance your education and all qualified prospective students should apply! Click here for details, and check back for the application deadline, which is usually January or February for fall admission. Undergraduate junior students Maham Alamgir and Emily Steiner were recognized for their outstanding research at the 2018 Western New York ACS Undergraduate Research Symposium. Read more about it here! Dr Mary McCourt, Dr. Lawrence Mielnicki, and student Jamie Catalano were interviewed at a press conference at the National Meeting of the American Chemical Society in Philadelphia about their efforts to encapsulate insulin and other molecules in Cholestosomes(TM) to make an orally available diabetes treatment. Their research went viral on the internet and we couldn't be prouder of everyone involved in the project! All together, 13 of NU's chemistry and biochemistry students presented at the conference. Congratulations to Chris Fritschi for winning the best oral presentation and Zac Mariani for winning an outstanding poster award at the April 2016 WNY ACS undergraduate research symposium! Eighteen NU students attended with 16 students presenting their research. Well done, all! For photos and more information, click here! Dr. Luis Sanchez, NU's organic chemistry professor, was elected president of the Gamma Sigma Epsilon national Chemistry Honor Society. Congratulations Dr. Sanchez! NU's analytical chemistry professor, Dr. Robyn Goacher, was recently awarded a two-year $55,000 grant from the American Chemical Society for research with undergraduates, studying the weathering of wood-polymer composite materials. Read about it here! In August 2015, a group of 10 NU chemistry and biochemistry majors presented their research at the 250th National Meeting of the American Chemical Society, in Boston, MA. Read more about their trip here. Research is taking off at Niagara in general, according to a recent article in the Niagara Gazette. 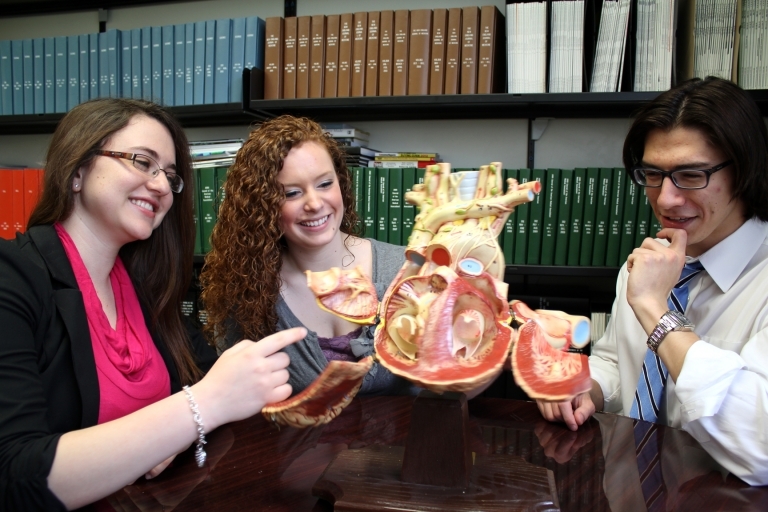 These are exciting and challenging times for you to become a health care professional.